I almost missed my 2nd Blogiversary. Well technically I did because it was yesterday, but I was busy baking yesterday and in the last two weeks I completed cupcakes for a wedding and a 4 tiered Birthday cake for a friends 1 year old. This has definitely been an interesting year for me. This time last year I was getting into a groove, baking lots and blogging lots. Several months later I was thrown into the world of nausea, tiredness and a growing belly. All great things though, very interesting things, that will lead to a lot of new & exciting times. My day job also seemed to get in the way a lot this summer, lots of unexpected twists and turns that made for some long days and weeks. I do wish I had stayed on the ball a bit more this past year and maybe becoming a mom, although I know will be completely hectic in the beginning will force me to become more organized so I can manage both. Since this is my 2nd blogiversary I am going to do posts with two desserts I really love and TWO GIVEAWAYS! Of course it is hard to narrow down the list amoung so many desserts but today's post is one of my favorite. I always buy a tin for myself when I attend the Christmas show in Toronto. One year my friend and I both bought some and were supposed to split it, then we forgot to trade and then I ate it all! OOPS! 2) Toasted the pecans in non stick pan for 3-5 min on medium, until fragrant. 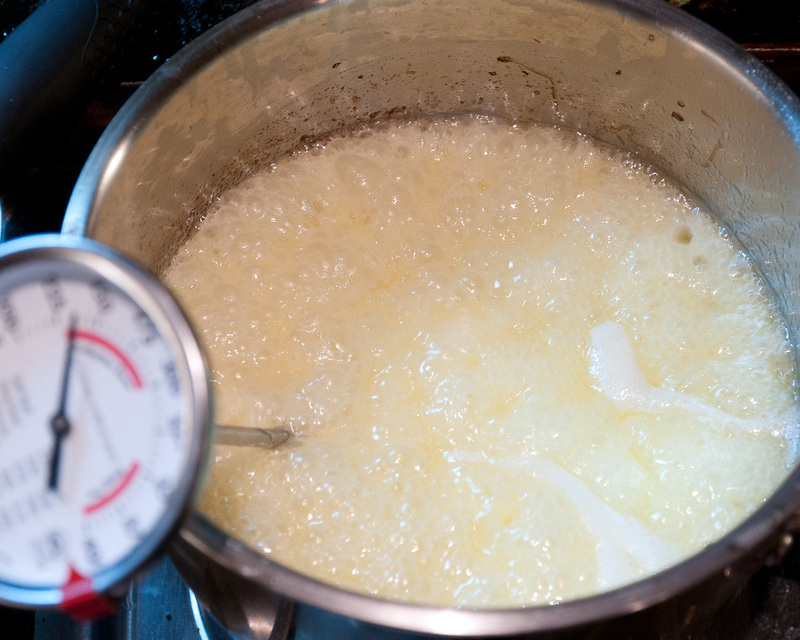 3) Place the butter in a medium sauce pan over low heat. 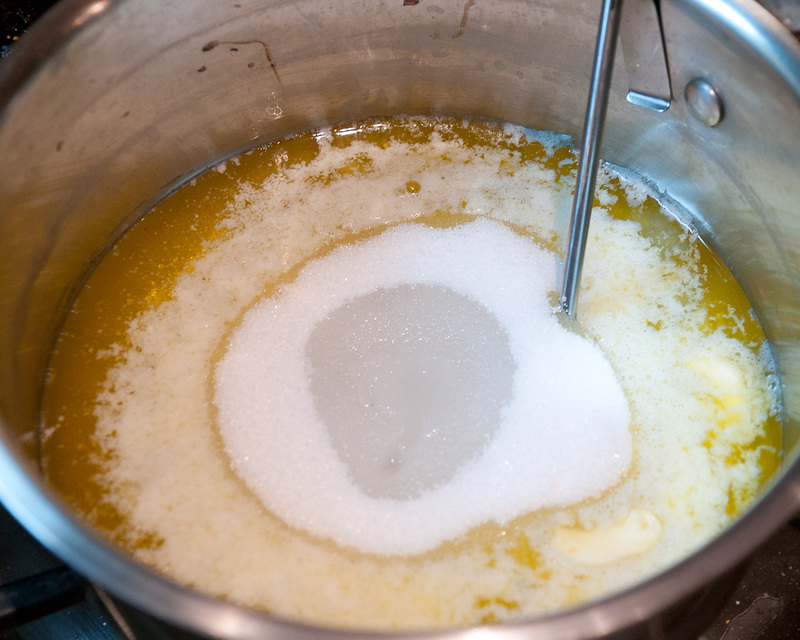 When the butter is almost melted, add the sugar and water and cook over low heat, stirring with a rubber spatula until combined. 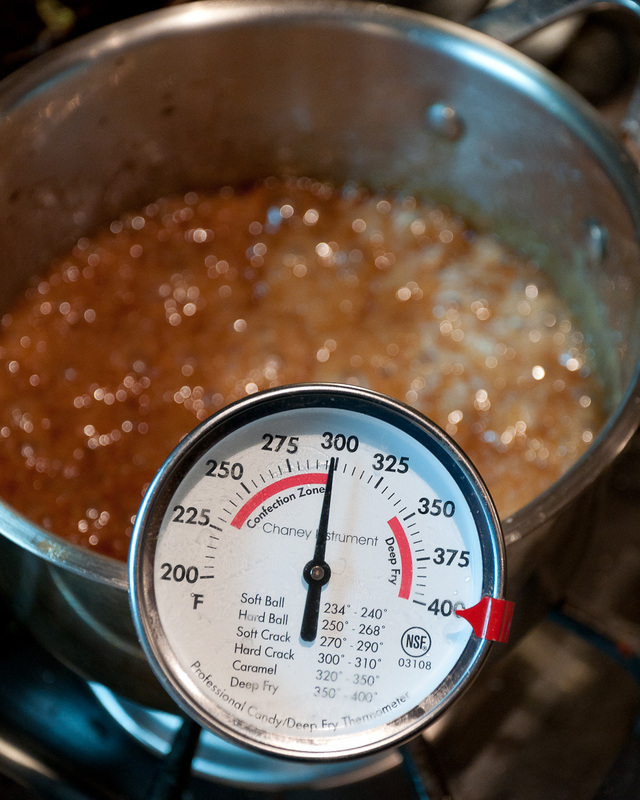 4) Place your candy thermometer on the side of the pot. Increase the heat to medium-high and cook until mixture reaches 300F. The mixture will bubble and start to brown. 5) While mixture is reaching the desired temp, combine the two chocolates in a bowl. 6) When butter/sugar mixture reaches temperature remove from heat right away to prevent burning and stir in the pecans quickly. Spread this mixture into your prepared pan. 7) Wait 1 minute then spread the chocolate chips over this. Wait 3 minutes for chocolate to melt, then use an offset spatula or rubber spatula to spread the chocolate over the toffee. 8) Sprinkle the ground almonds over the melted chocolate and place the pan in the freezer for about 30 minutes. 10) Store toffee in a airtight container, with parchment in between any pieces. MMMMmmmm... Toffee. I was nice and shared this with work but I am sure I will make another version for guests around Christmas. I also didn't get much out of the ground almonds on top so I might leave that out next time or switch up chopped pecans and use almond in the toffee base. DAY 1 GIVEAWAY : Tell me what is your favorite "candy" to make at home? and you will be entered to win a $25 amazon gift certificate to buy any baking/candy tool you like. For extra entries, do any of the following and let me know what you did for each one. Entries accepted until Thursday @ 10am EST. I love this toffee! SO good. Happy Blogiversary! 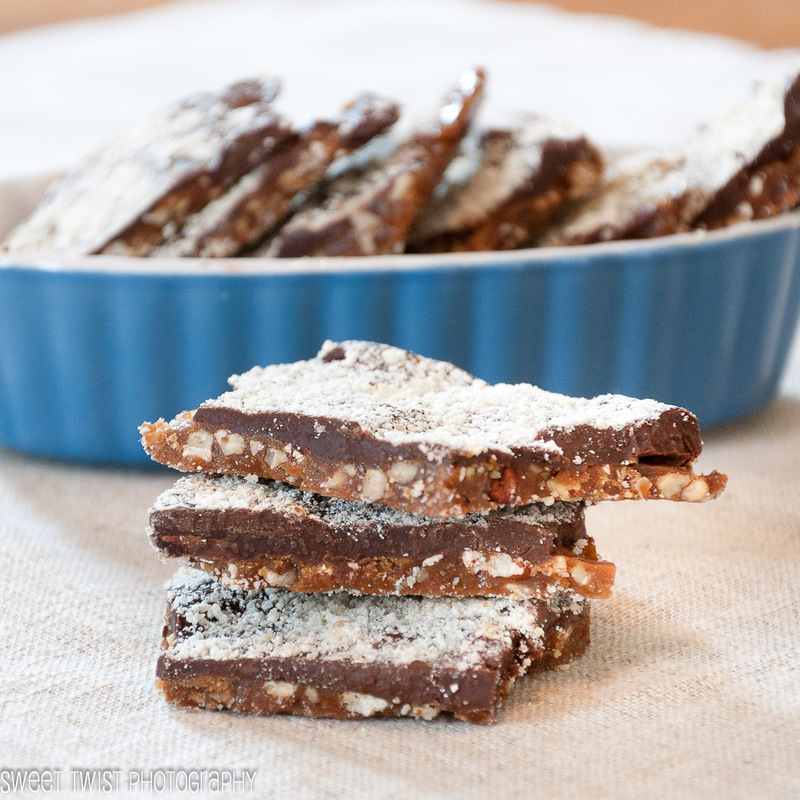 My favorite candy to make is bark. It's so easy! Happy blogiversary! Congrats on a full year of blogging - it can be challenging but so rewarding when you stick with it! These bars look fantastic and would be perfect to make as gifts for the holidays! My boyfriend and I are big toffee people and have never actually made it homemade. I'm excited to give your recipe a try and will let you know how it turns out! Thanks ladies. It has been a fun two years! 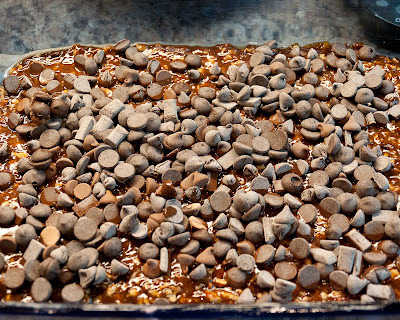 And for the contest, my favorite candy to make at home is peanut brittle! 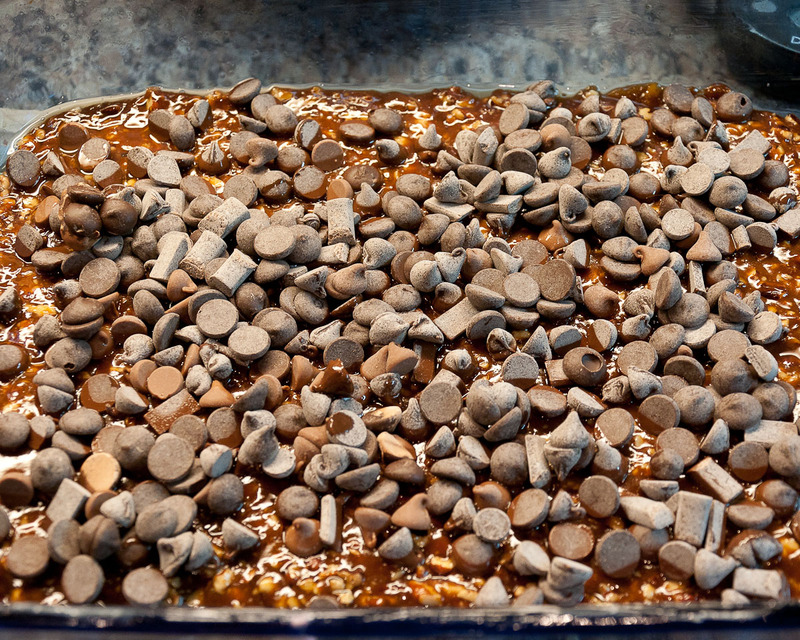 My favourite Candy to make at home is dark chocolate bark with lots of marshmallows, nuts and dried fruit! Happy blogiversary! I would probably go with chocolate bark for my favourite homemade candy...anything that doesn't require a candy thermometer! Candied nuts are a good one to make too! 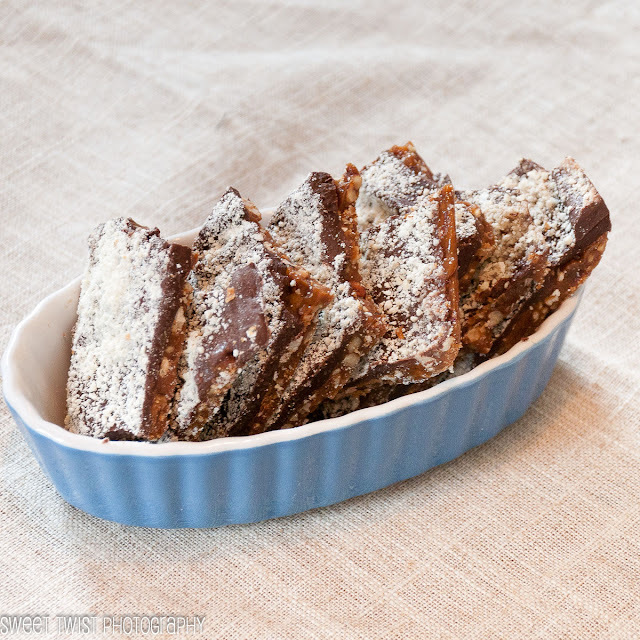 I love toffee....this recipe looks incredible! Happy 2nd year blogiversary! Good lookin recipe! Found you at onlineblogcon !